Disney’s California Adventure, The Walt Disney Company’s sixth North American gate, sits across the esplanade from Disneyland, the granddaddy of all Disney theme parks. DCA, as it’s colloquially known, recently went through some minor and major changes. It rebranded itself as Disney California Adventure, simply dropping the possessive apostrophe, and underwent a $1.1 billion expansion with Cars Land serving as the centerpiece. 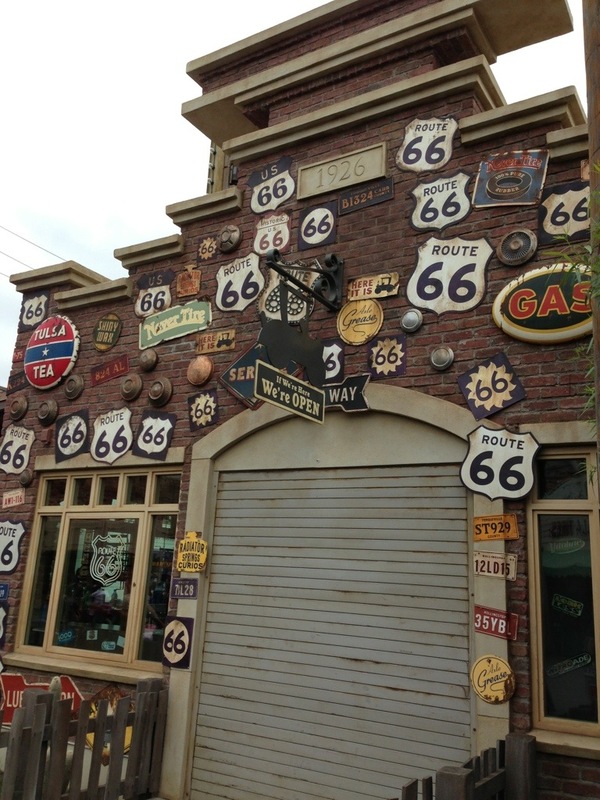 Pixar’s 2006 hit Cars and its fictitious town of Radiator Springs serves as the inspiration. Disney’s Imagineers did a magnificent job in creating Radiator Springs Racers, a much-needed E ticket attraction for DCA. Beyond that, the entire scale and scope of Cars Land feels genuinely lifted from the film, high praise given that it was CGI-animated. Even the lone stoplight in Cars Land, appropriately enough next to Flo’s V8 Cafe, blinks slower every third time. Cars Land details are large and small, high and low. if you’re a veteran of Pixar films and personnel, two special treats can be found in here. John Lasseter, writer and director of Cars, also directed Toy Story which was Pixar’s first smash hit, thanks in large part to the antics of a certain Star Command character. The Cozy Cone Motel section of Cars Land features five distinctive orange construction cone-like buildings that offer churros and other treats. In the middle is a faux building that serves as the motel office, into which you can only peak through the wide windows. On a desk are several shelves that contain small, medium and large orange cones, keeping with the overall theme. Under one is a half-visible Buzz Lightyear figure, recreating his pose from Toy Story Two’s famous street crossing scene. Another notable Pixar founder is Ed Catmull, the scientific mind behind Pixar’s CGI wizardry. Appropriately enough, there’s a simple tribute to him in Cars Land. In one of the many storefronts is a neon sign that reads Catmull Oil, named after him. Makes you wonder if it’s a direct competitor to Rust-eze or Dinoco? If you love Walt Disney World, then you owe it to yourself to make the trip to Anaheim to walk in Walt’s park, and spend a day or two in Cars Land and the rest of Disney’s California Adventure!